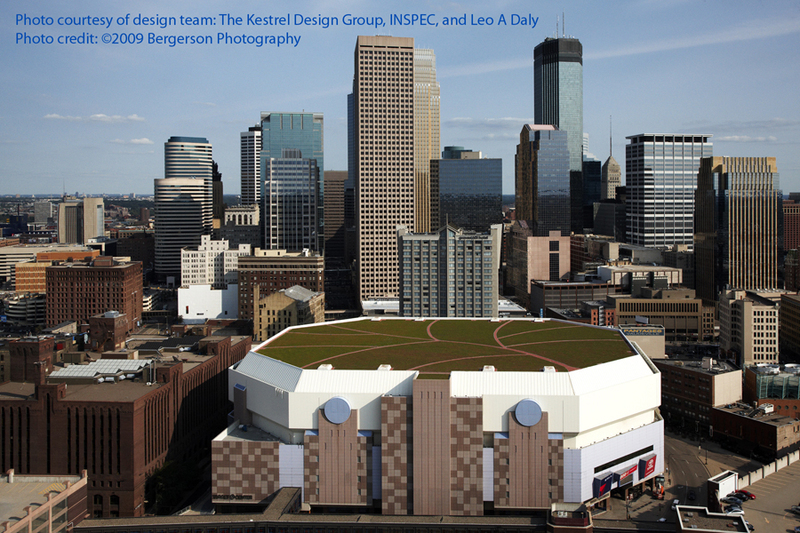 When Minneapolis’ Target Center Arena needed a new roof, The Kestrel Design Group provided its green roof expertise to create a quantitative and qualitative cost benefit analysis that enabled the City of Minneapolis to decide with confidence that replacing the conventional roof on the Target Center with a green roof was the most cost effective decision over the lifespan of the Target Center building. 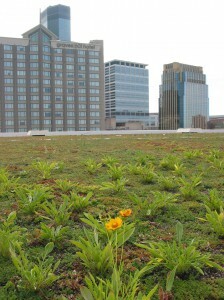 Subsequently, The Kestrel Design Group also provided design services for the green roof. 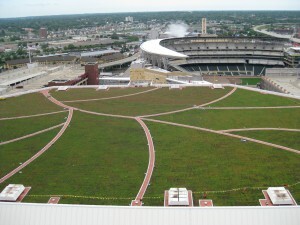 At 113,000 s.f., the Target Center Arena green roof – the fifth largest extensive green roof and the first green roof installed on an arena in North America – mitigates the urban heat island effect, greens views from above, provides wildlife habitat and improves urban air quality on a scale that is not feasible at grade in an urban area like downtown Minneapolis. It also mitigates stormwater runoff from a significant amount of impervious surface in a downtown location where space does not permit use of other Low Impact Development Techniques for stormwater management at grade. Such positive impacts on local water bodies are valuable in a City that prides itself on its legendary waterbodies: The City of Lakes in the Land of 10,000 Lakes.